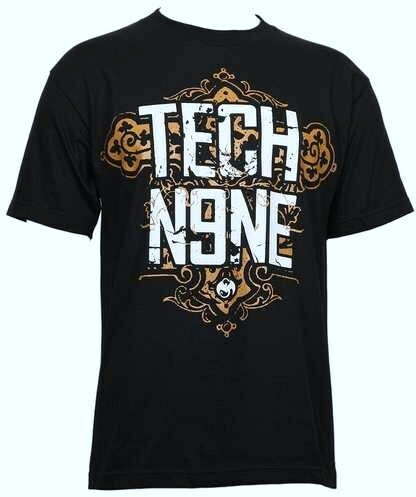 Adorn yourself in the complete technique of rhyme with this black 100-percent cotton t-shirt. 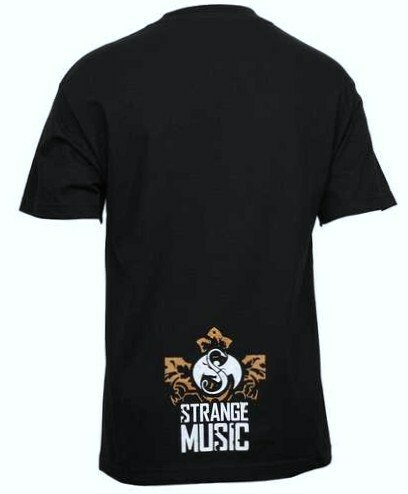 Available in M, XL, and 3XL, this t-shirt features “Tech N9ne” written on the front over an ornamental design as well as “Strange Music” on the lower back with the Snake and Bat logo. Click here to purchase yours today.